Sh*t's about to get dark. IT'S HERE, EVERYONE! 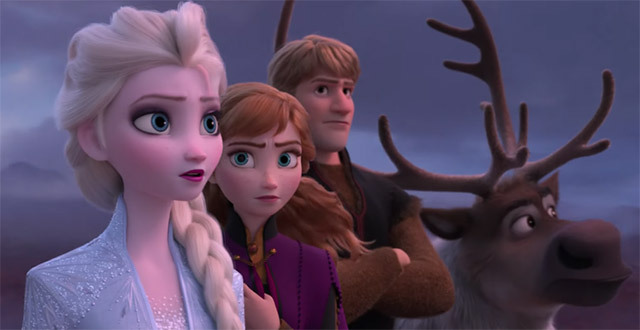 The first trailer for Frozen 2 has arrived, and it honestly looks low-key scary?? 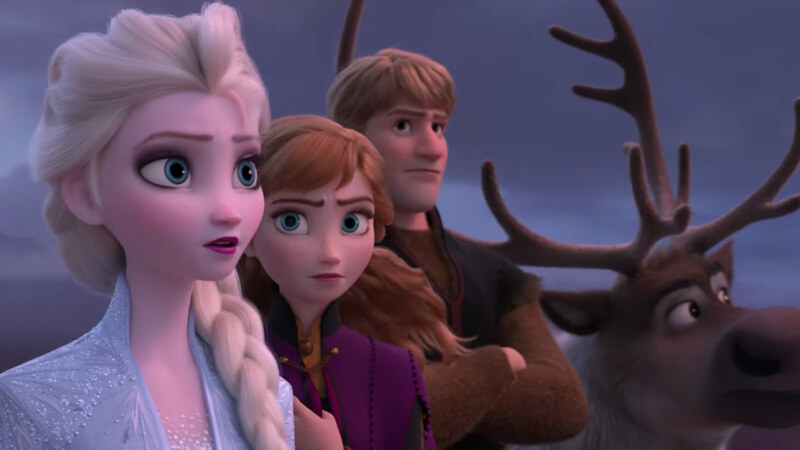 The first Frozen movie took over the whole damn world back in 2013, and whether you liked it or not, no one could escape "Let It Go." Well, now Elsa and Anna are back, but things are looking a little different than how the first movie left off. Because it's Disney and Disney likes to give us nice things, Frozen ended on a happy note, with the evil Hans and Duke of Weselton defeated, and Elsa and Anna reunited. But apparently that happy ending didn't last long. The trailer starts out with a scene that is extremely Harry Potter and the Half-Blood Prince adjacent, in which Elsa is standing alone a dark beach during a storm. She attempts to cross a rough body of water by freezing it, but the waves prove to be too big for her powers. Meanwhile, Anna is also alone, away from her sister, and Kristoff is off riding his reindeer Sven somewhere. Eventually, they all end up on the top of a cliff together, which would seem like a good thing, but you can just SENSE the tension. I'm not sure WTF is going down in this trailer, but I'm honestly kind of intrigued. Who doesn't love a good dark twist?